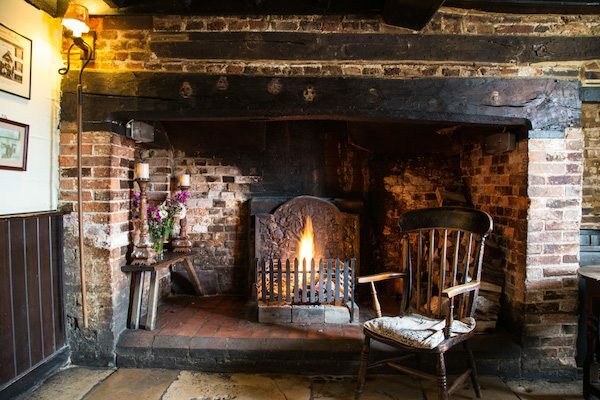 Looking for local pubs where you can snuggle up in front of the fire? You won’t have far to go if you are staying at Rosebud Cottage! There are several pubs I can recommend in the cooler months. 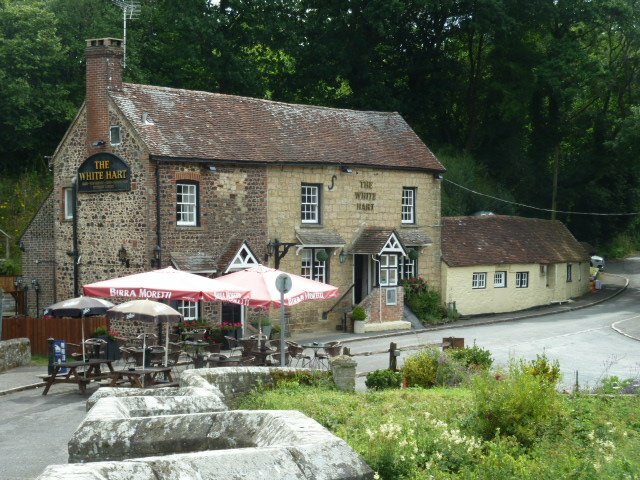 A few miles away you can take a seat and warm your toes at the Fountain Inn in Ashurst – seen here in the photo. Just what you need after a walk on the South Downs! Trips usually start at the end of March and run every Saturday, Sunday and Bank Holiday Monday until the end of October, apart from Easter Sunday & Monday. 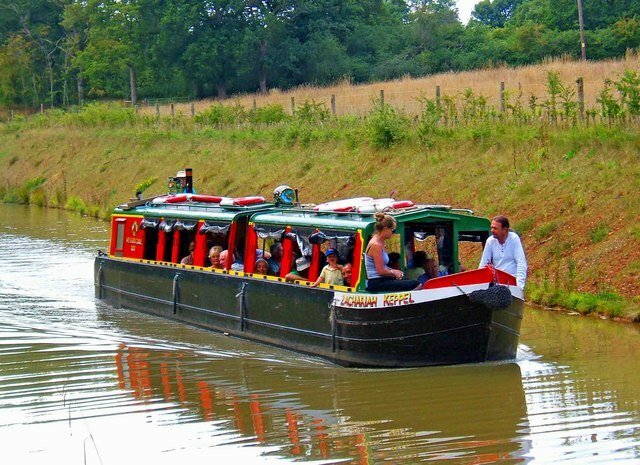 There can also be special Santa cruises each December .. including an evening cruise for adults (expect mulled wine and mince pies) Easter Bunny specials run each year too. The cost is normally between £6 and £10 for adults and from £3 for children. 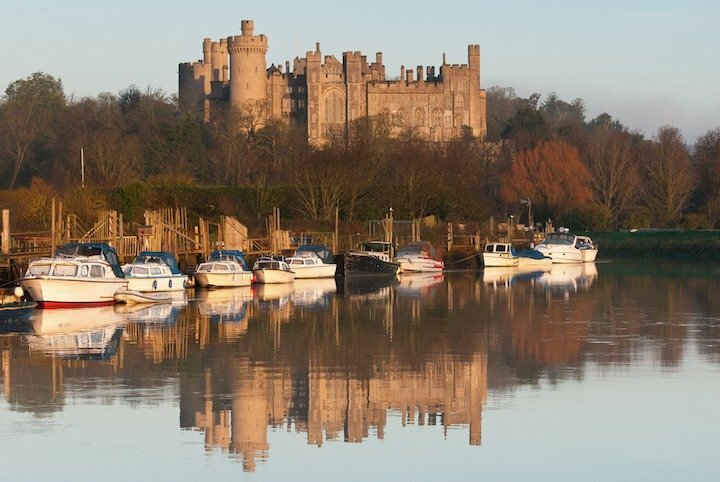 In the 19th century it was possible to travel by boat from London to Littlehampton on the south coast passing through Weybridge, Guildford, Pulborough and Arundel. 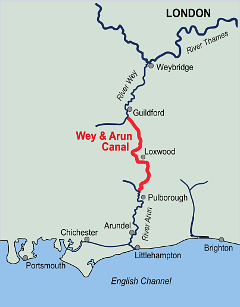 The route was via the rivers Wey and Arun, linked between by the 23-mile Wey and Arun Canal. This formed a vital link, the only one between the south coast and the river Thames, linking London and the English Channel. The most spectacular medieval festival in the UK! You’ll find the festival at RH14 0AL on the B2133 road between Loxwood and Wisborough Green, 4 miles from Billingshurst. 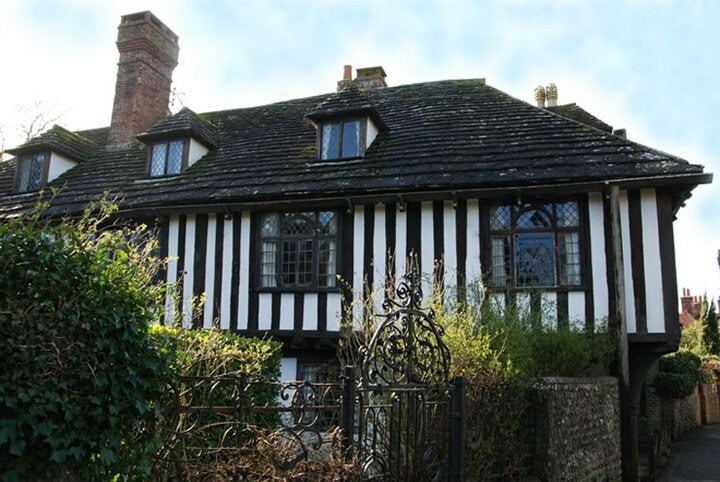 Steyning is 10 miles from Brighton & within easy reach of Loxwood.